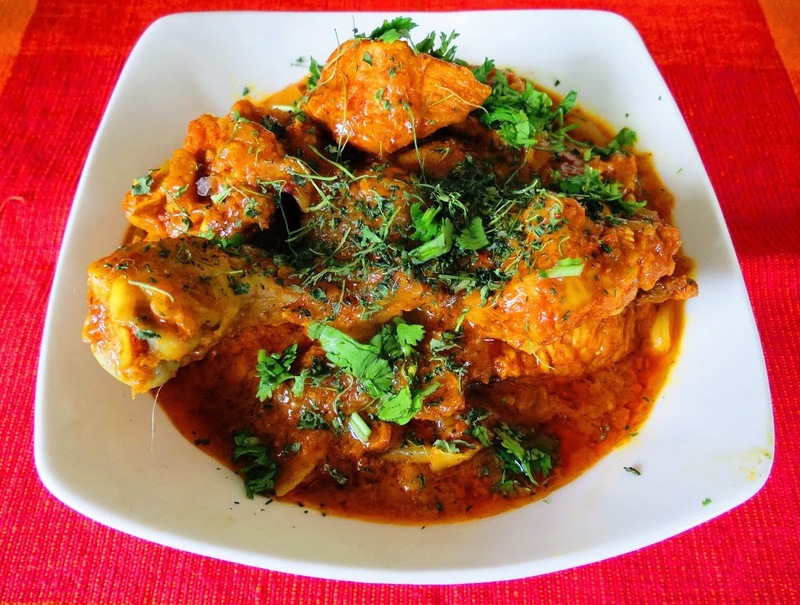 Chicken Vindaloo is a Goan dish which proudly sits on the menus of many famous Indian restaurants abroad, next to the Indian Chicken curry. I have been wanting to cook this dish for long. 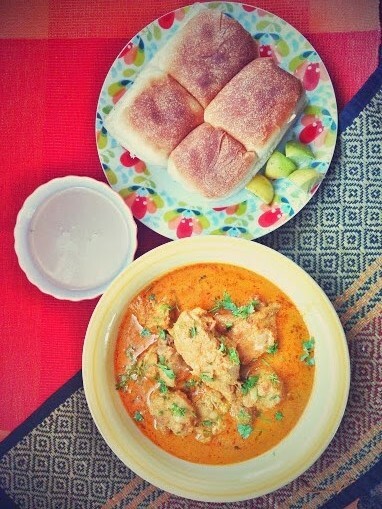 Recently saw this in dish being featured again in one of my favorite shows “Twist of Taste – Coastal curries” by Vikas Khanna and that spurred me to find the best recipe online and cook it. Just finished cooking this dish and must say its a beautiful dish. The tanginess of the vinegar dominates; followed by the sweetness from the caramalised onions and jaggery and the spiciness of the chillies. History has it that this is a Portuguese dish which means Wine, Garlic and Pork (http://en.wikipedia.org/wiki/Vindaloo). 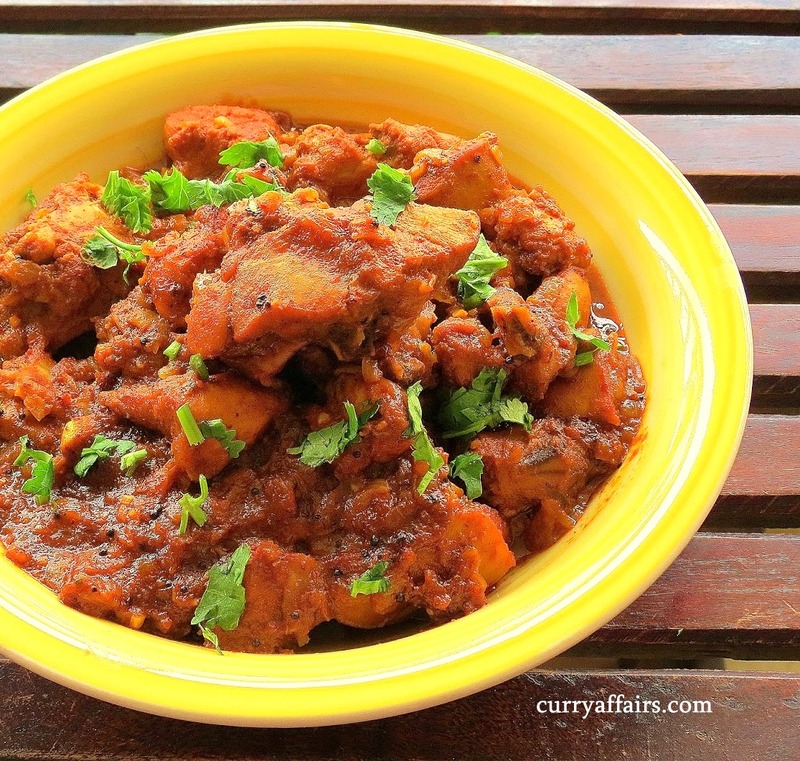 The original dish has no “aloo” or potatoes but I found many recipes online with potatoes. Decided to cook mine without potatoes or tomatoes. So this recipe has just the goodness of chicken with onions, vinegar and spices. Here is my version of Chicken Vindaloo. 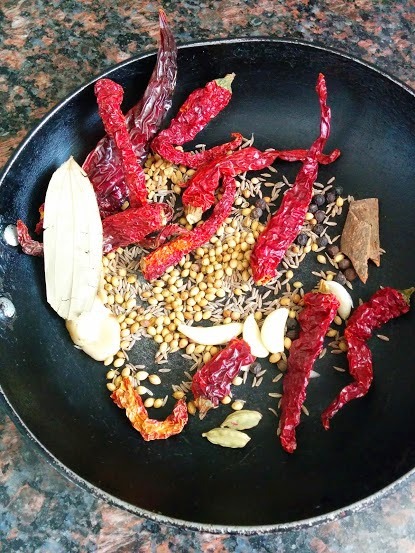 Dry roast 2 tsp coriander seeds, 1 tsp cumin seeds,1/2 tsp fenugreed seeds, 7-8 dried red chillies (I used Byadgi chillies), 1 tsp pepper seeds, 1 bay leaf, 2 inch cinnamon, 2 cardamoms, 4-5 garlic pods, 1/2 inch of ginger for 2 mins on a low flame ensuring you dont char out the spices. Cool these spices and then grind them to a fine powder in the mixie. 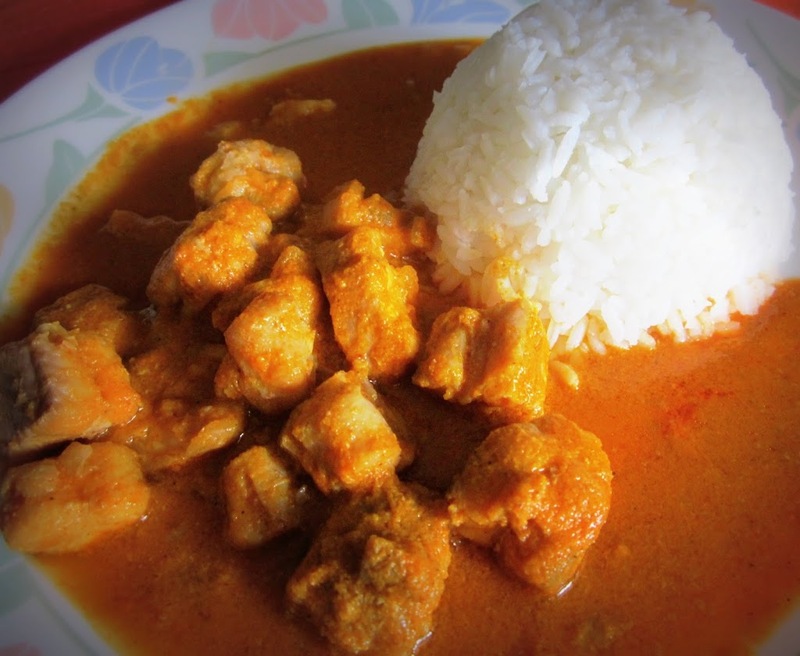 Marinate 750 gms of chicken with the spice mixture, salt, 1/2 tsp turmeric and 4 tbsp white vinegar. Add 1 tsp of grated jaggery and mix well. Let it rest on the kitchen counter for 3-4 hours. You can also leave the marinade overnight. Now take a pan and add 2 tbsp ghee to it. Once the ghee is hot, add 1 tsp of mustard seeds. Now add the marinated chicken and saute it for 7-8 mins. You will be left with a fine thick gravy. 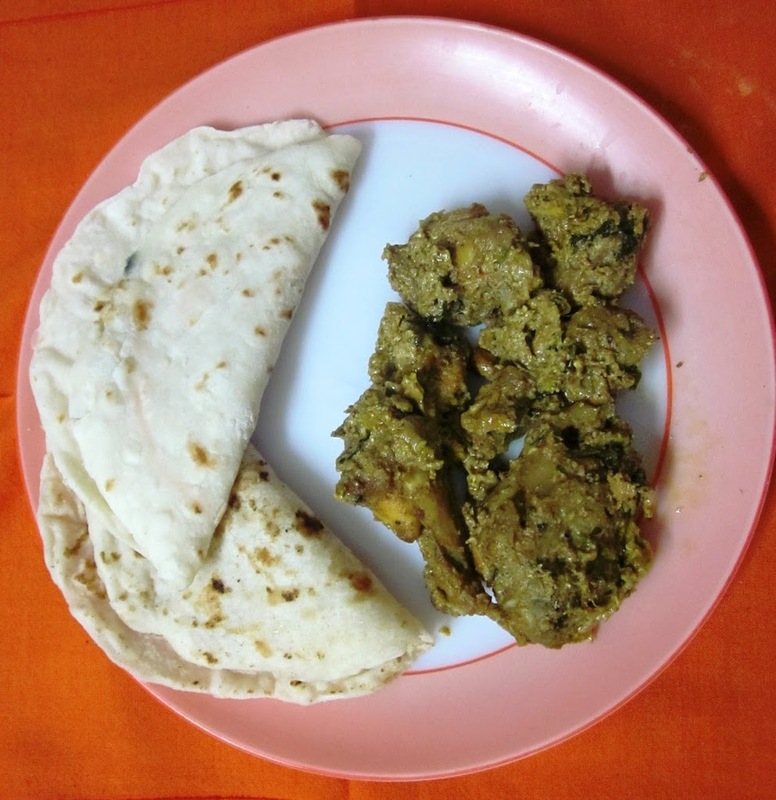 Garnish it with finely chopped coriander leaves and serve with rotis or rice.